Coal burning power plants create large quantities of ash from the raw material they burn. Small, lightweight particles are known as fly ash because they rise with the stack gasses. Fly ash is collected through the use of scrubber, or ESP systems (electrostatic precipitators). Dry ash removed by ESP systems is very abrasive due to its small particle size, physical hardness and the sharp edges of the particles. Once fly ash is removed, it is normally stored in some sort of hopper or silo. Isolation and dump valves used on these silos must be able to cope with the abrasiveness of the ash, and not become clogged. Slurry Knife Gate valves are popular in this application due to their short face-to-face and simple, rugged design. 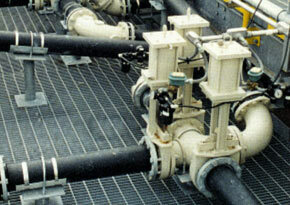 The problem with all-metal Knife Gates valves is their seating and sealing surfaces are quickly worn down by the ash. Once this happens, the entire valve must be replaced. Ash is also often pulled into the packing gland, requiring routine replacement. 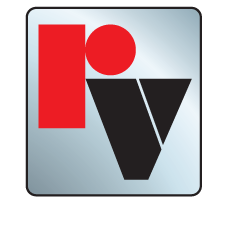 Red Valve's Slurry Knife Gate Valves is are ideal for these applications because they are designed for use on abrasive materials. Two elastomer cartridge seats provide the sealing and wear surface of the valve. The seats are easily replaced to bring the valve back to like-new condition, eliminating costly replacement of the entire valve. The seats create a bi-directional seal and act as a wiper to clean away process material before it is pulled into the packing area. Another Red Valve product that is often used on fly ash is Tideflex Air Diffusers. In storage silos, the dry ash can become compacted under it own weight, resulting in "bridging" and "rat holes" that prevent the ash from freely flowing out of the silo when opened. Tideflex Air Sparging Valves are used to inject air into the ash to keep it loose, preventing ash from backing up into the air manifold pipes, clogging them and rendering the system inoperative.